1 giant leap for a plane, 1 small step for RoboThespian. RoboThespian can be found installed all over the world. But somewhere he has never been, is South America. That is, until now. In 2017, RT-0107 flew out to Buenos Aires, Argentina. So what was this intrepid traveller tasked with upon arrival? 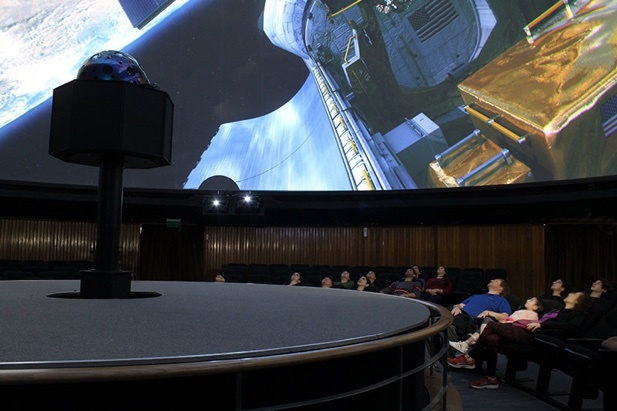 After travelling 6,694 miles, not for the first time, our very own robotic explorer was assisting in outer space exploration! 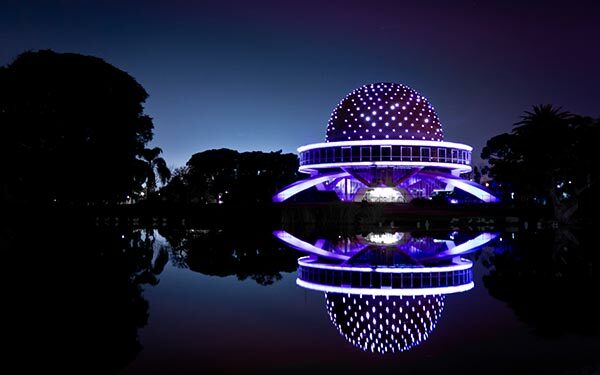 Planetario Galileo Galilei, Buenos Aires installed RoboThespian as part of a major overhaul of the planetarium’s visitor centre in 2017. Now he is used to inform and entertain the many visitors that come through the doors of the super cool building. 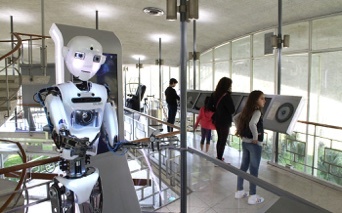 So how is the only RoboThespian in South America doing? We caught up with the team to see what feedback they had for our little TinMan. To say we were pleased with the feedback is an understatement. The robot itself is a very high-quality engineering pearl. 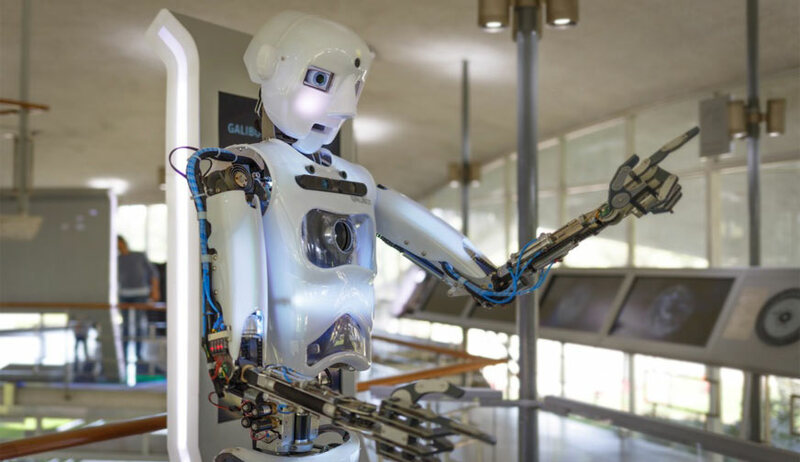 Even with the restrictions that it must be humanoid in all physical proportions, it is amazing to see how several very complex technical problems have been solved with a smart design and a careful manufacture. And once the robot is working… it astonished everyone! From museum staff to visitors, from children to scientists. Banning pictures and filming is useless and even cruel, since everybody wants a selfie with the robot and wants to share their enthusiasm with friends, showing for example how the robot can sing a song, or make a joke. Being so handsome as it is, it quickly took prominent spaces in newspapers and TV news, and after a couple of months in the museum, it has already appeared in no less than 45 local press media. High quality content is very necessary for RT4, since improvisation is not yet a highlight of this robot. A careful repertoire of content, with the robot communicating useful things, using humor, making unexpected movements or phrases, introducing variations and avoiding repetition, all that help to stretch the surprise of the visitors during a long time. In our case, Engineered Arts has created some content, and we have ourselves created another part of it. To do that, we have used Virtual RoboThespian, and after a few days testing, it took us only a few hours to create each piece of content. We think RoboThespian is great. But we would say that. Now you don’t have to take our word for it. And with this latest addition to the RoboThespian family, there are only two continents that are without our robots. But don’t worry Africa & Antartica. We’re coming for you!